The Archbishop of York is to visit East Cleveland over the course of three days later this month! 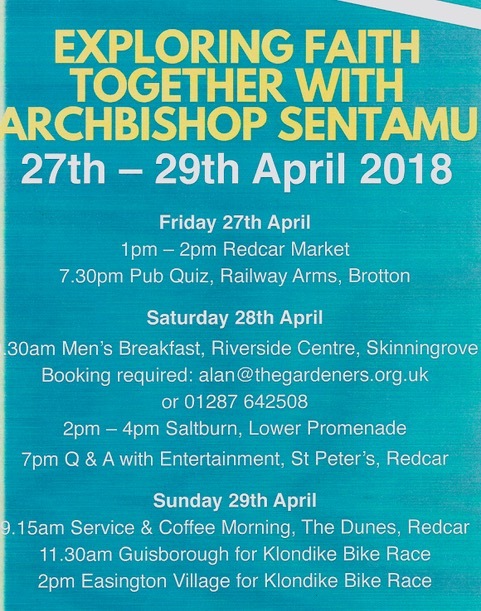 The Archbishop’s visit starts on Friday 27th April 2018 with a trip to Redcar Market before attending an evening Pub Quiz in Brotton. 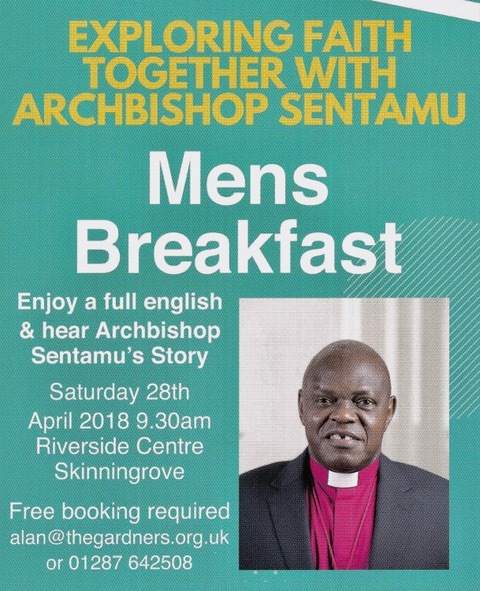 On Saturday 28th April 2018, the Archbishop will visit Loftus Parish for the second time this year, when he attends a special Mens Breakfast at the Riverside Centre in Skinningrove Village at 9:30am. He will then conduct a walk about on Sea Front at Saltburn, before attending a Question and Answer Session at Saint Peter’s Parish Church in Redcar at 7:00pm. On Sunday 29th April, the Archbishop will lead morning worship in Redcar before visiting Guisborough and Easington where he will join in with the special community events surrounding the second East Cleveland Klondike Bike Race. The Archbishop looks forward to meeting as many people as possible over the course of this special weekend.